This is Utkarsh Speaking: Does a society learn from its past? Bhima does not agree at first. Begs her to wait as the incognito exile period wd be over soon. She weeps and shows hom her calloused palms from grinding unguents foe sudeshna. Bhim covers his face with her palms and declares keechak will die. Yes, that's true. Thanks for writing. Some versions say, that when Draupadi came running in to the court, Bhima was there for some reason and on seeing Draupadi pleading, Bhima nearly got up, but sat down on Yudhistir's indication. 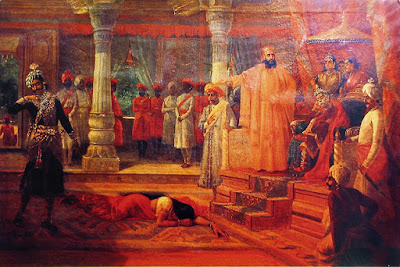 But later, he gave in to Draupadi, and killed Keechaka.